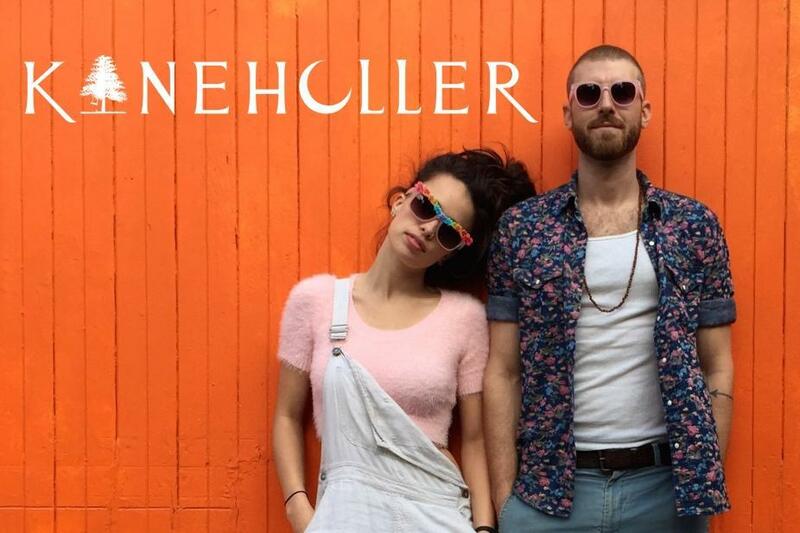 Home » Giveaways » Win Tickets to THE TING TINGS with KANEHOLLER at Fonda Theatre on July 2nd! Gypset Magazine is giving away 2 pairs of tickets to see THE TING TINGS with KANEHOLLER at Fonda Theatre on July 2, 2015 Courtesy of Goldenvoice. **WINNERS WILL BE NOTIFIED ON THIS EVENT PAGE, VIA EMAIL AND ON SOCIAL MEDIA BY JUNE 30, 2015** Best of Luck!! The Ting Tings are a British duo from Salford, Greater Manchester, UK. Their music encompasses a range of genres, including synthpop, indie rock, dance-punk and new wave. The band consists of multi-instrumentalists Katie White (vocals, guitar, bass and piano) and Jules De Martino (drums, vocals, lead guitar and keyboards). The pair first met in 2001 when White was part of pop-punk trio TKO, as De Martino was one of the songwriters for the band. White and De Martino were later reunited when they bumped into each other in Manchester and discovered they had a mutual love of Portishead, leading them to form a band called Dear Eskiimo (yes, with two I’s) with friend Steven Templeman. The trio signed a deal with Mercury Records but later split due to a change of personnel at the record label. In 2006, whilst White and De Martino were both working at Islington Mill Studios (White as a bartender, De Martino as a producer), the music and performers of the Islington Mill community inspired them to regroup as a duo and develop their own sound. Their band name “The Ting Tings” came from White’s workmate called Ting Ting, who told her that in Mandarin, it sounded like the pronunciation of “bandstand”. The name also means “the sound of innovation on an open mind”. Spiritual! The newly-formed duo quickly formed a buzz round them, with record producers like Rick Rubin asking for tickets to see the band live during their early days on the Manchester party scene. The band signed to local indie label Switchflicker Records and released their debut single “That’s Not My Name” in the spring of 2007, and later that year signed to major-label Columbia Records after performing at Glastonbury on the BBC Introducing Stage. In May 2008, “That’s Not My Name” was released again through Columbia and went straight to number one in the UK Singles Chart, followed swiftly by the release of their debut album “We Started Nothing” which also reached number one. Their follow-up album “Sounds from Nowheresville” was released in 2012 and a third album “Super Critical” is also in the pipeline. The Ting Tings are known for their energetic live shows and quirky music videos, leading them to win three awards at the 2008 UK Festival Awards, including Best Festival Pop Act and an MTV video award in 2008 for “Shut Up and Let Me Go”. The band performed a section of the song with Blink-182 drummer Travis Barker at the awards ceremony. The Ting Tings have also been nominated for a Grammy and two BRIT Awards. Most notably, the duo won an Ivor Novello Award in 2009 for their album “We Started Nothing”. KANEHOLLER an electronic-soul duo consisting of singer-songwriter-producing partners Chelsea Tyler and Jon Foster. Formed in Brooklyn, NY, in the summer of 2011, the group now lives in Venice Beach, CA. KANEHOLLER’s musical style weaves a future sound with timeless jazz, blues, and electronic melodies. After meeting they began sharing their musical interests. Over the last year they cultivated a unique sound that was inspired by Lauryn Hill, Etta James, RJD2, Otis Redding, DJ Shadow, Talking Heads and Portishead.